This RIAA preamplifierperfectly symbolises its designer Ron Sutherland. 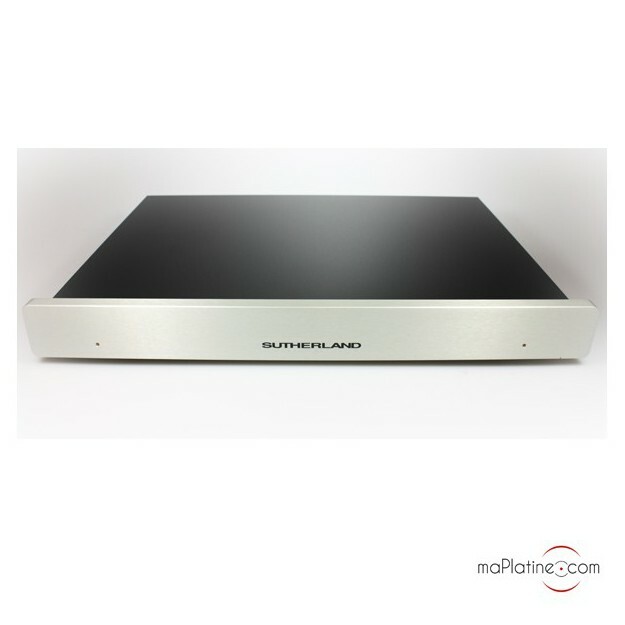 This Sutherland 20/20 phono preamp builds on the brand's philosophy, departing from Sutherland's other two preamplifiers by the non-battery based energy source! 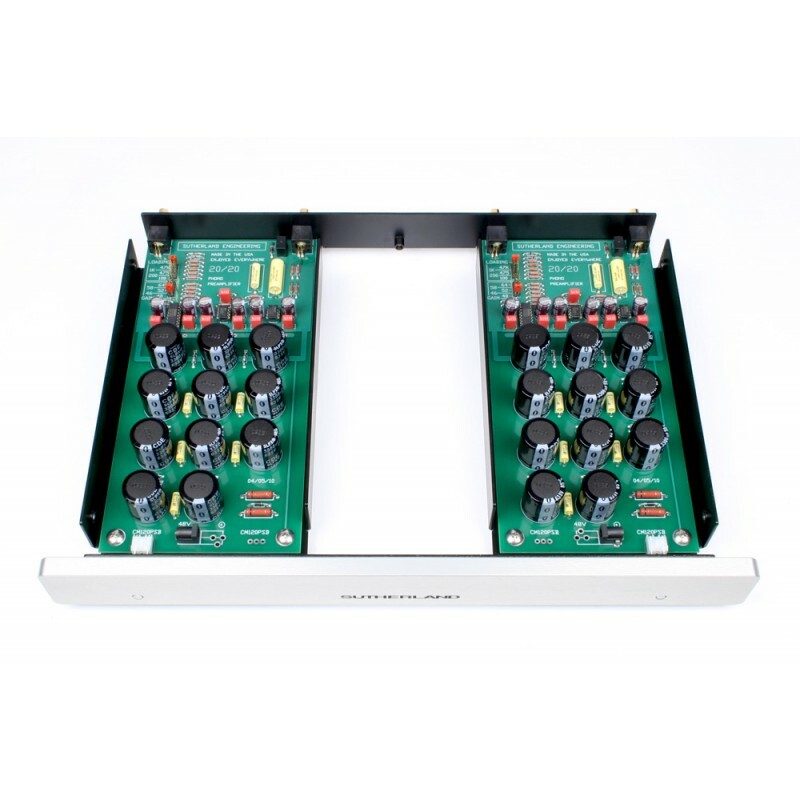 It is powered by two 48 V DC external units dedicated to each channel. 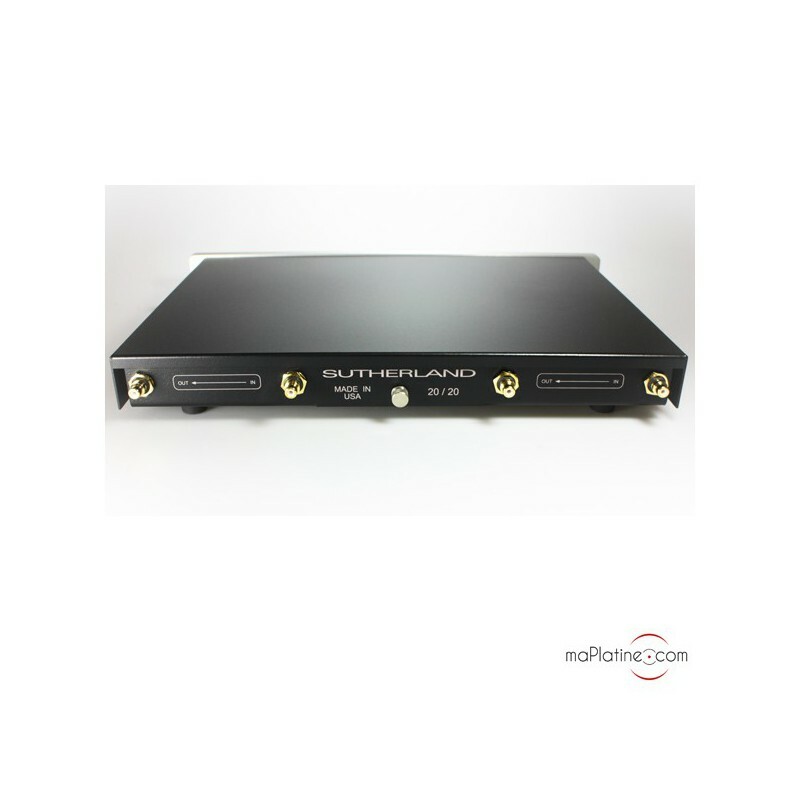 To ward off any line noise and voltage fluctuations that music lovers know all too well, Sutherland has boosted the power supply of its 20/20 with a filter capacity of up to 35,000 microfarads per channel! 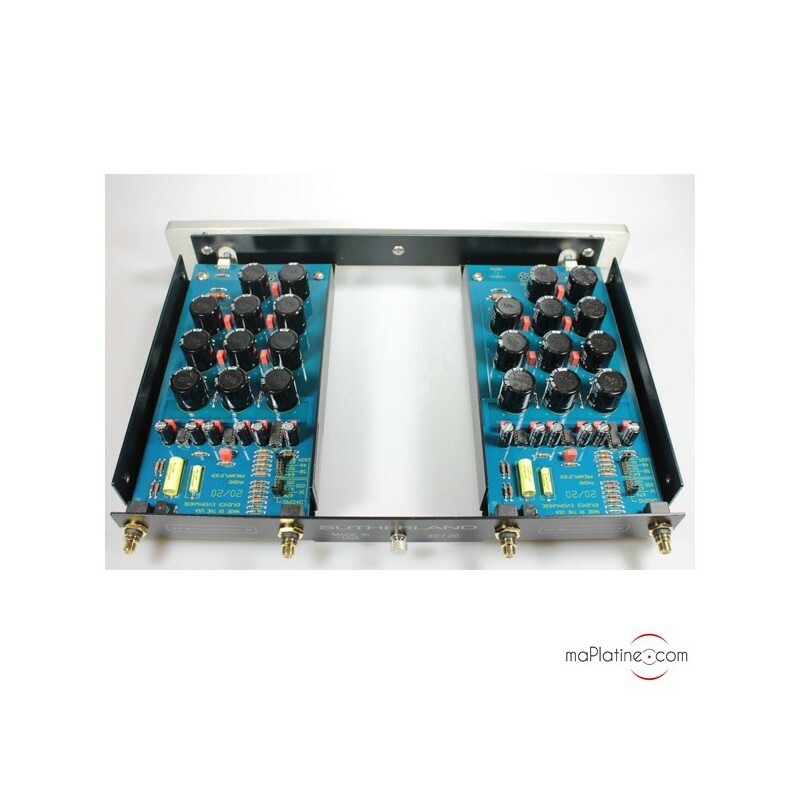 This assembly delivers a dozen seconds of permanent energy to the audio circuit that does not use much current, thus simulating a battery-powered supply. 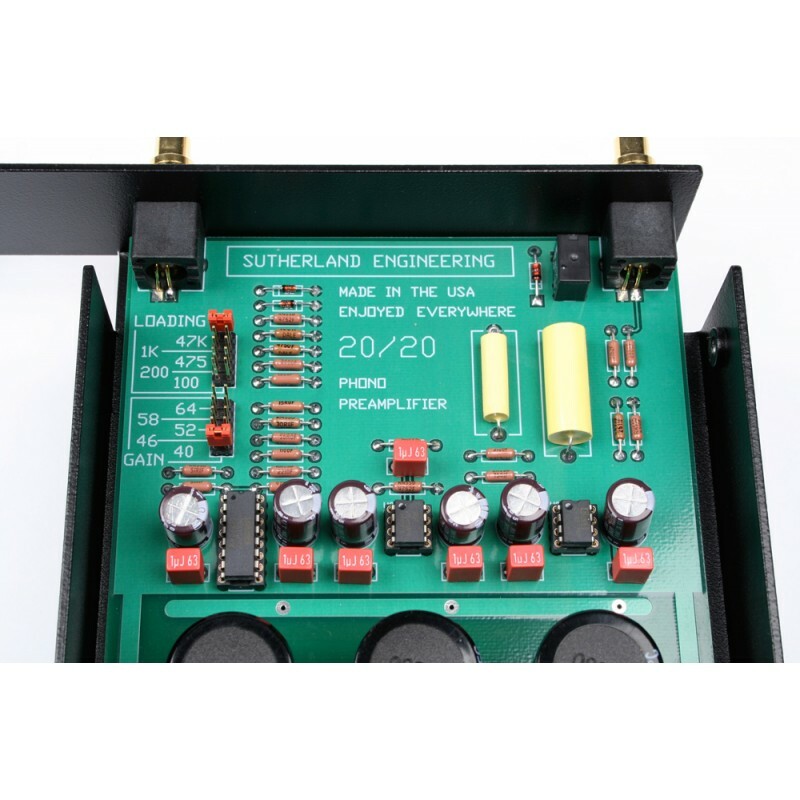 As always with Sutherland, the internal layout, assembly quality and level of components used is of top quality. The two channels have NO element in common, hence, there is no interaction. The two stages are completely separate and a few centimetres apart in their non-magnetic metal housing. Note that the use of metal Vishay resistors and custom capacitors with a tolerance of 1% on the modulation course. It is simple to use. All you need to do is carefully adjust the gain and load impedance for your cartridge. 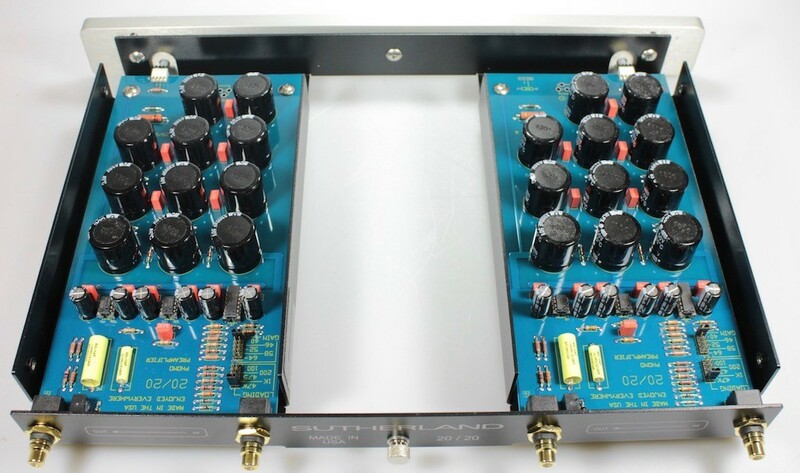 Remove the cover of the Sutherland 20/20 and move the DIP switches to the corresponding values (this must be done for both channels, hence on both stages as this is a dual mono architecture). From the opening bar, what a shock! It has the greatest level of details we have heard so far! We were surprised by the quality of the silences and the lengths of the notes. The transparency is very high and distributed across the entire audio spectrum and specifically the treble range, which is amazingly clear, without any harshness and distortion. On the 20/20 the vocals, already superb on its little brother PH3d, are something else! On very complex choir sections, each singer comes through clearly. The fortes are precise without any harshness or hiss. 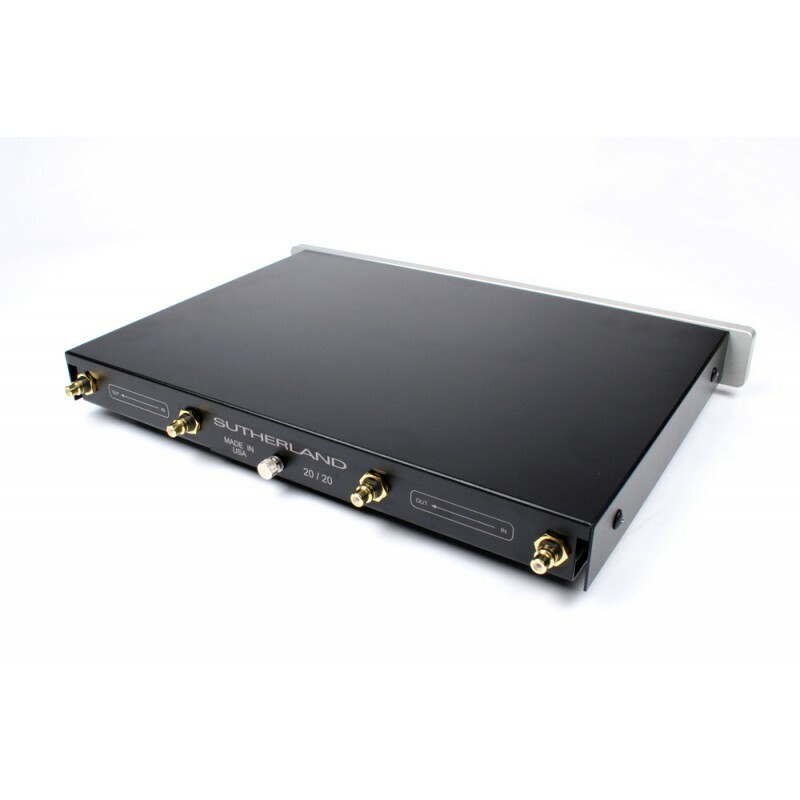 The presence and quality of the midrange timbre can be considered as benchmarks for this budget. The bass is very deep, incredibly well articulated and punchy! The sub-bass is amazingly authentic, pushing our benchmark speakers to the limits! The sound stage is equally wide and deep, with an unrivalled display of details and reverberations. 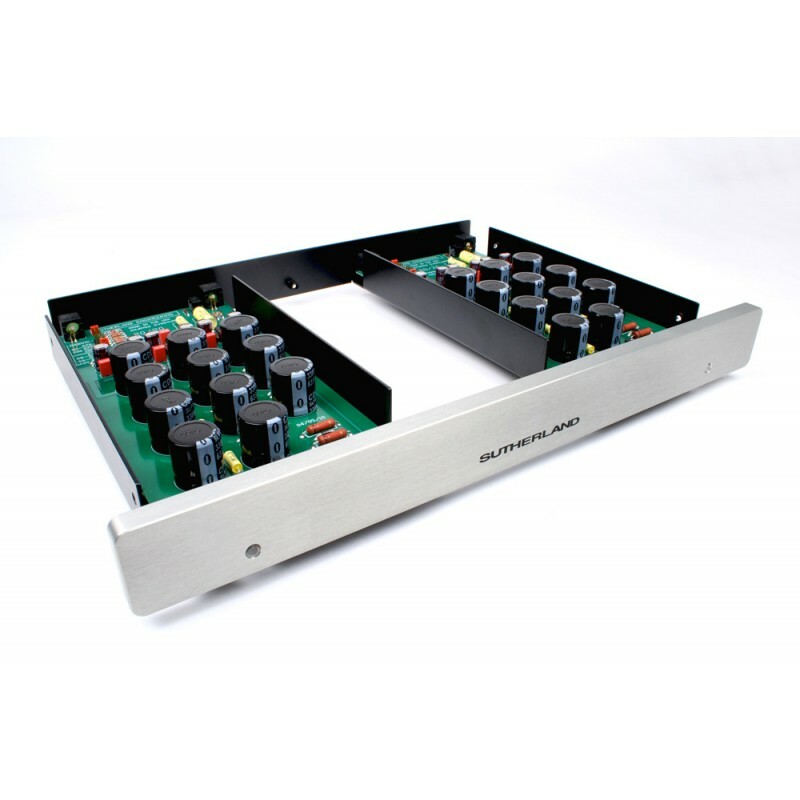 The sound quality is so even that this preamplifier agrees with all musical styles. 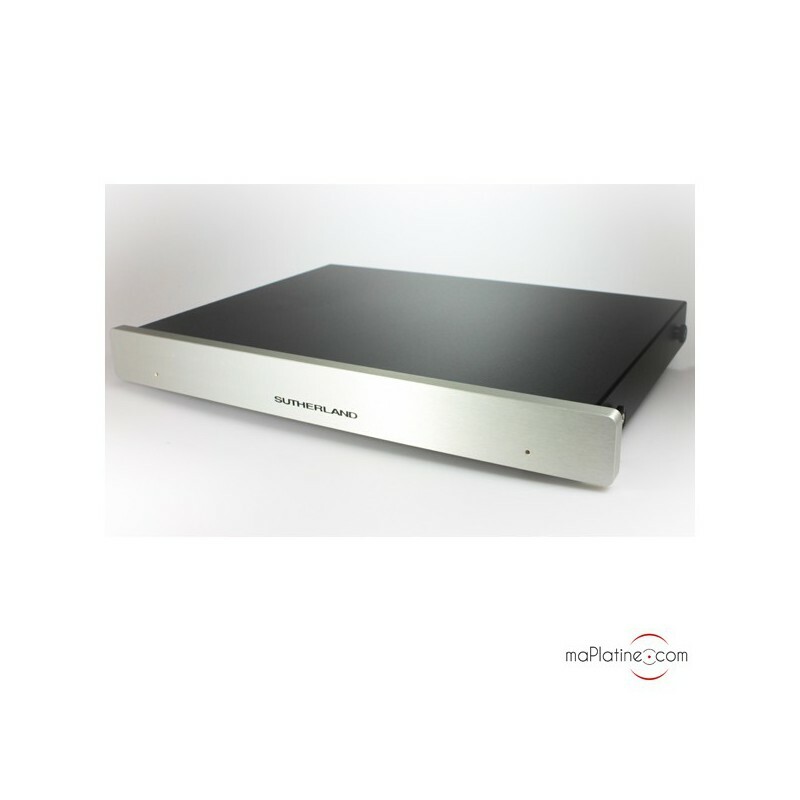 This is an amazing preamplifier that can be considered as a benchmark in its segment. La musique rien d'autre ! 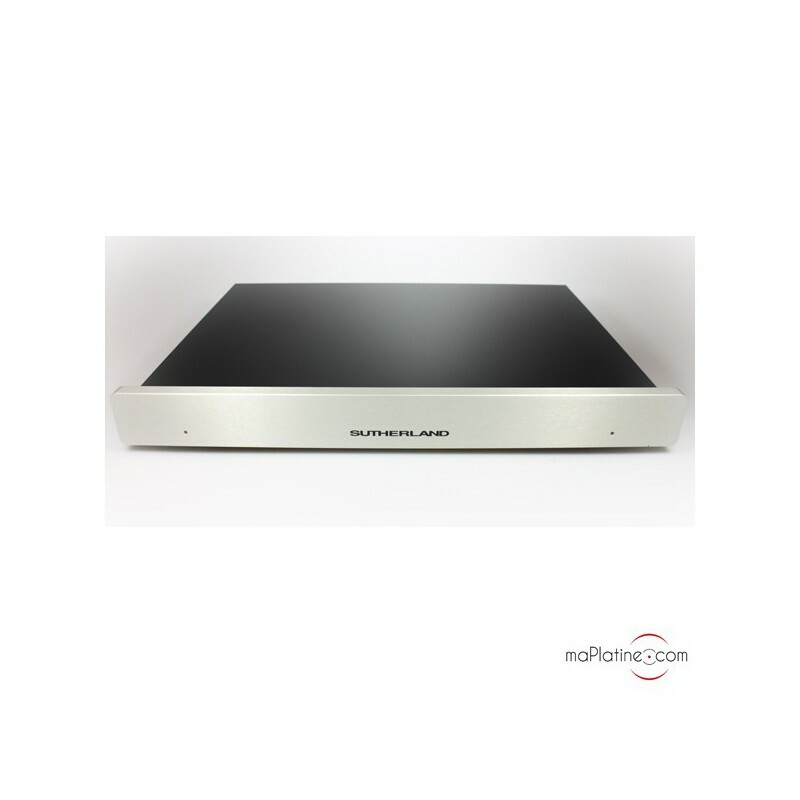 J'ai opté pour ce préamplificateur suite aux conseils des équipes de maPlatine.com voulant pleinement profiter de ma cellule Dynavector. Quel ne fût pas le choc en écoutant les premières notes ! Un appareil qui laisse toute sa place à la musique. Depuis pas une seconde je ne regrette l'investissement ! Le Sutherland 20/20 est un révélateur de musique, et d'enregistrement. Tout est naturel, jamais fatigant . Les timbres sonnent juste. Facteur d'émotions , ce pré ampli est une belle évolution de mon système . Bien sur il est mis en œuvre par l'équipe de Maplatine , que je remercie pour ses conseils .